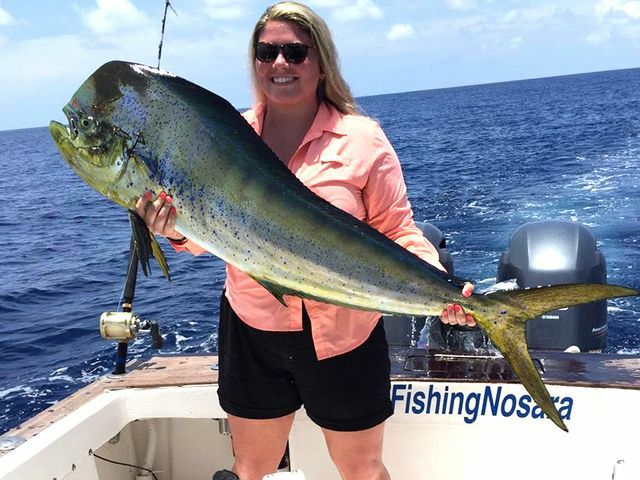 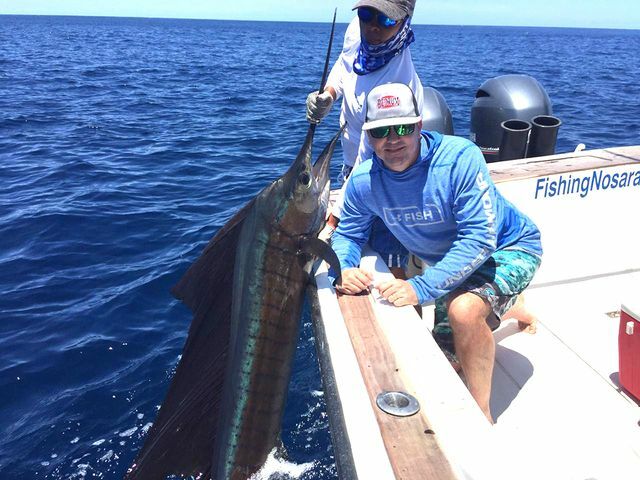 The Wanderer continued her hot fishing in mid-April with Jeff Kirk, Tyson Muenich, and Brad Taylor scoring big on multiple species. 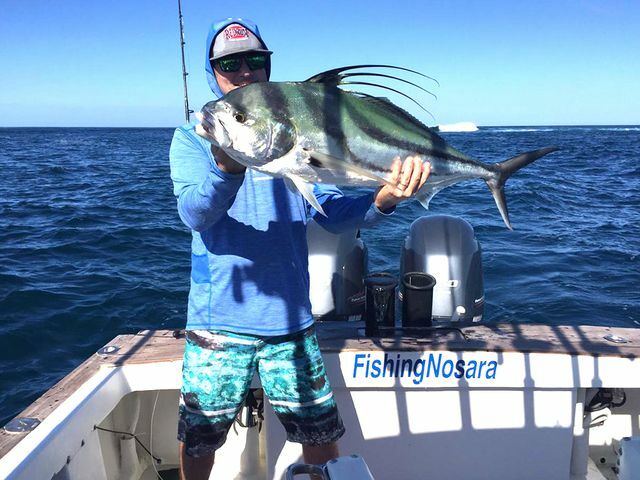 The final hurrah was this sweet Rooster fish release, scored late in the day much closer to shore than the earlier catches. 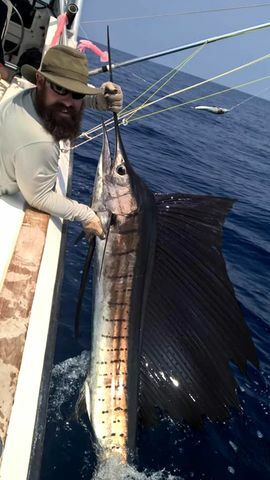 Fantastic work by Captain William and the mighty flagship Wanderer! 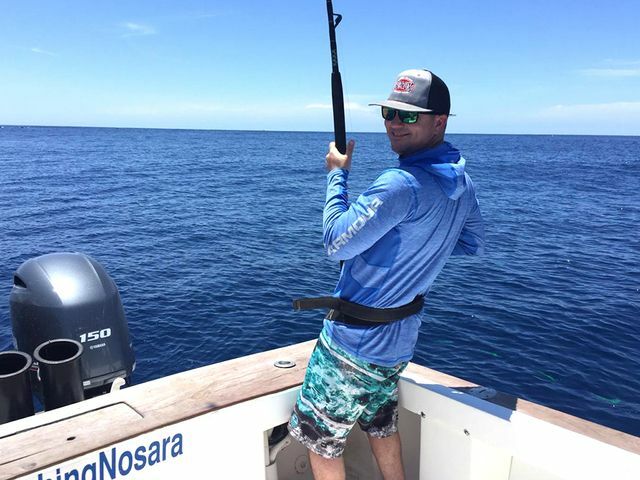 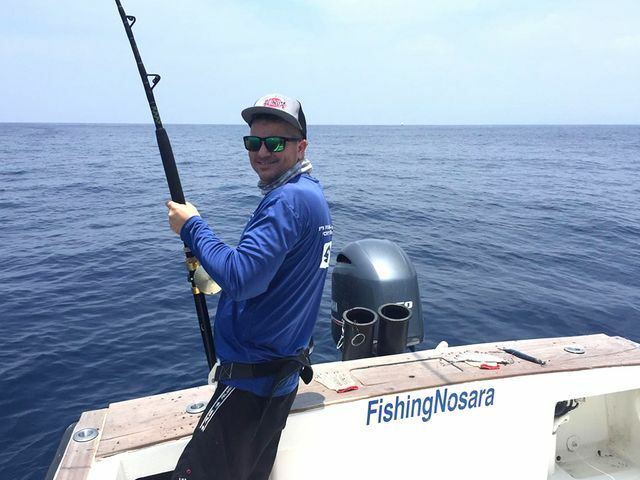 The flagship Wanderer was stoked to welcome Texas anglers Jeff Kirk, Brad Taylor, Tyson Muenich, and Ashley Watson for a big day on April 14. 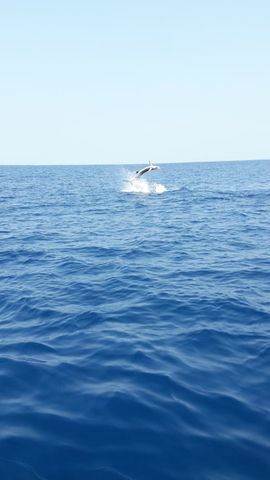 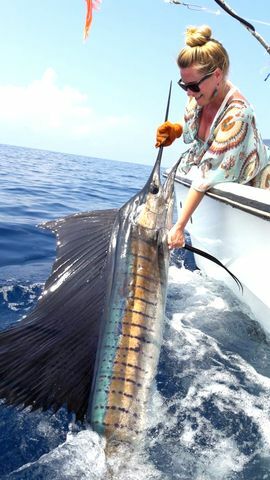 They nagged a final Sailfish release later in the day. 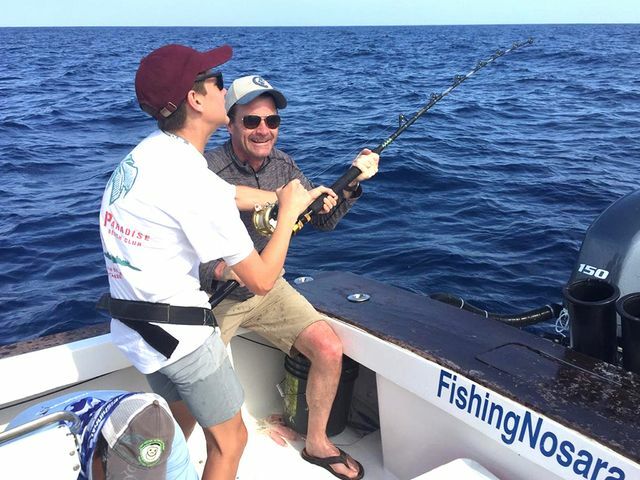 Excellent work by the mighty flagship Wanderer! 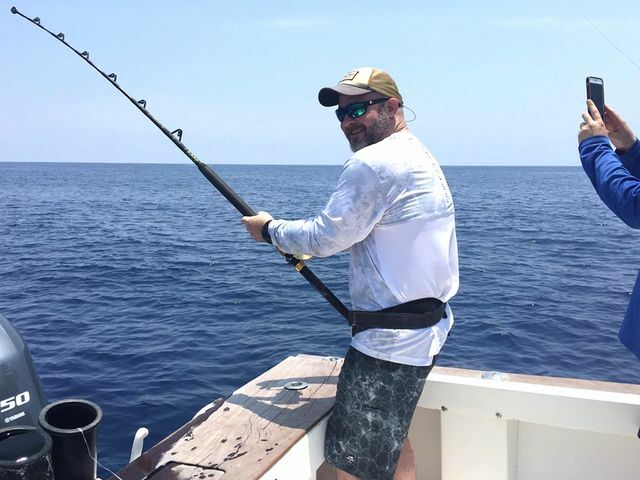 Then they followed up the trophy release with an excellent batch of Yellowfin Tuna filets. 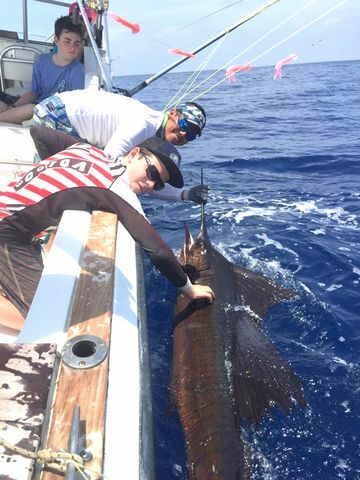 All in a day’s work for Captain Fico and the barroom brawler Explorer. 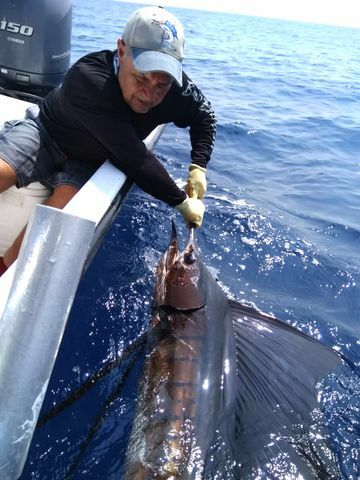 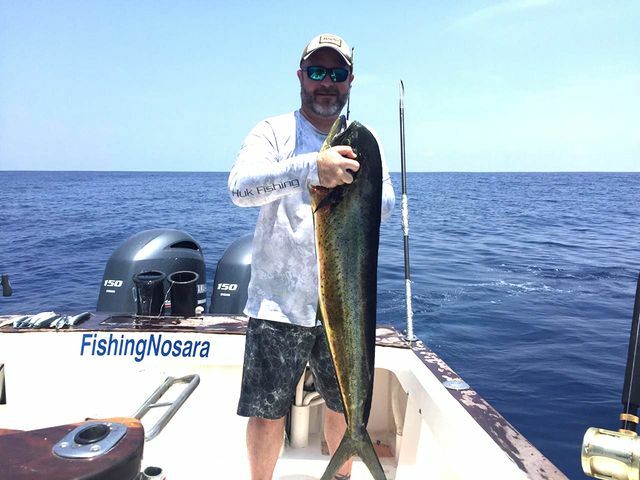 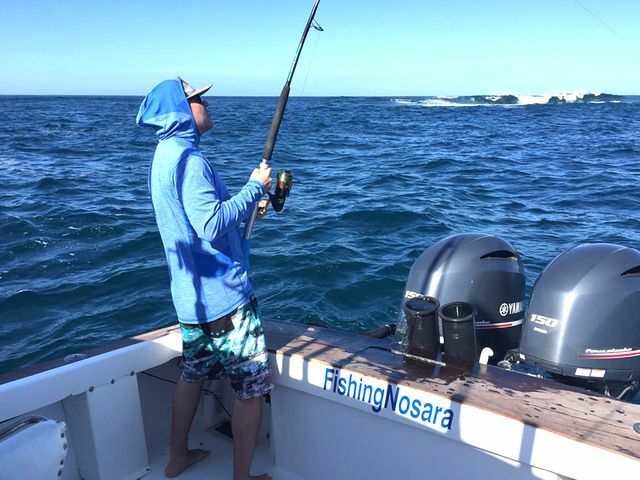 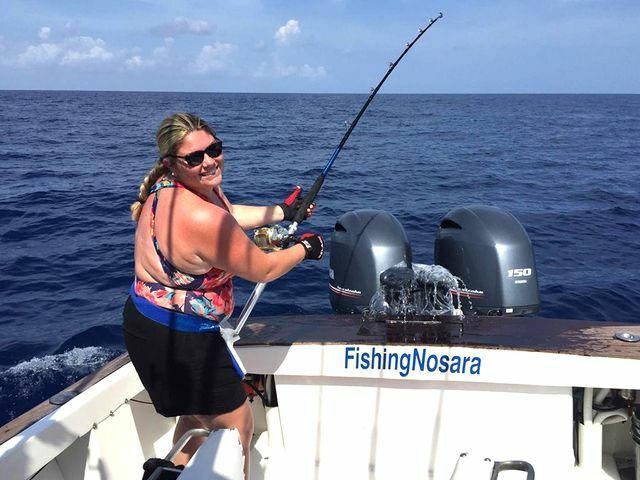 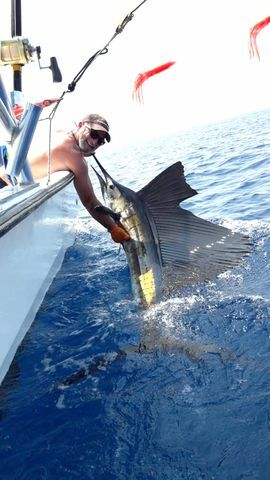 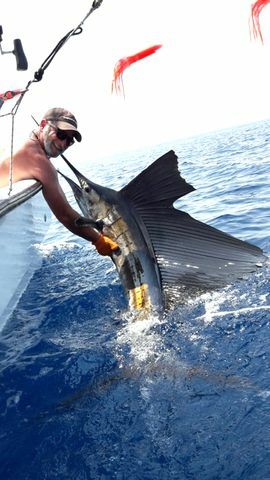 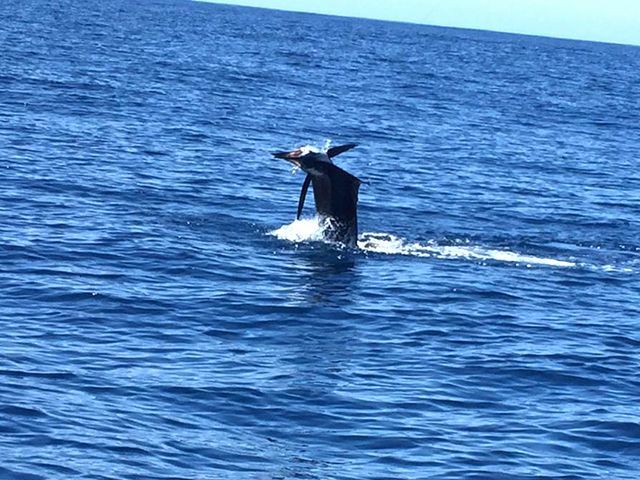 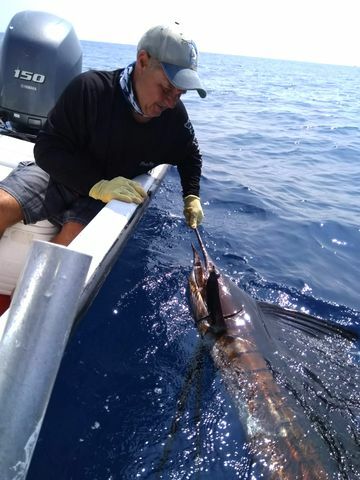 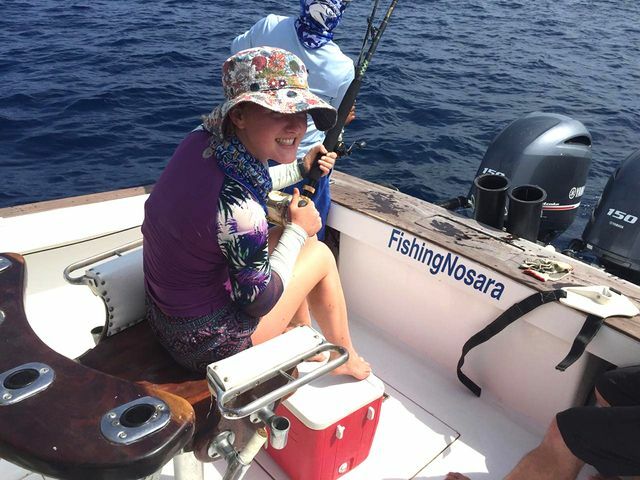 The Discoverer snuck in an afternoon trip with FishingNosara Northeast Rep Mark Cooney and managed to score a couple of Sailfish releases on the brief trip. 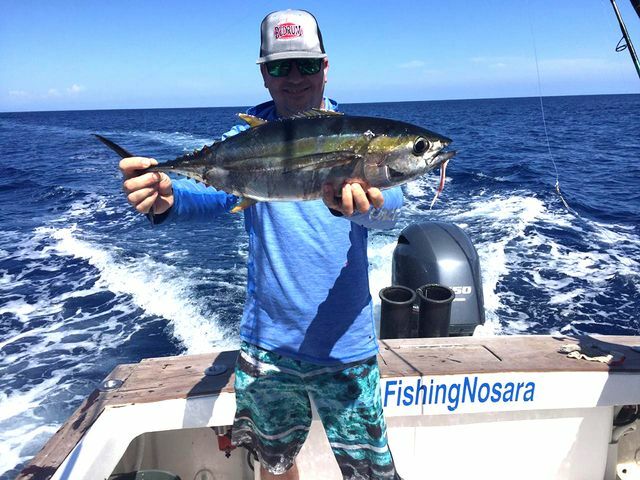 Southern California angler Shawn Hagerty brought his family along for a great day of fun fishing action on April 15. 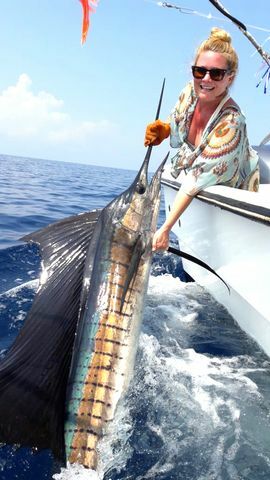 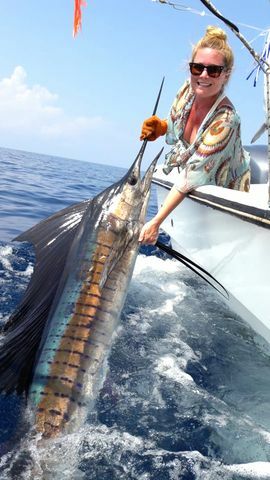 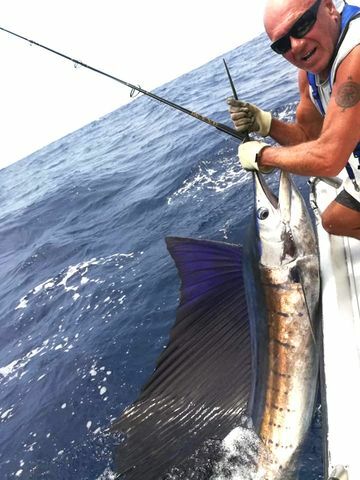 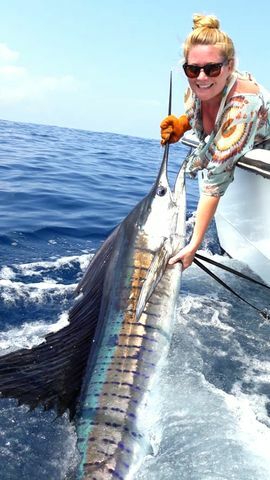 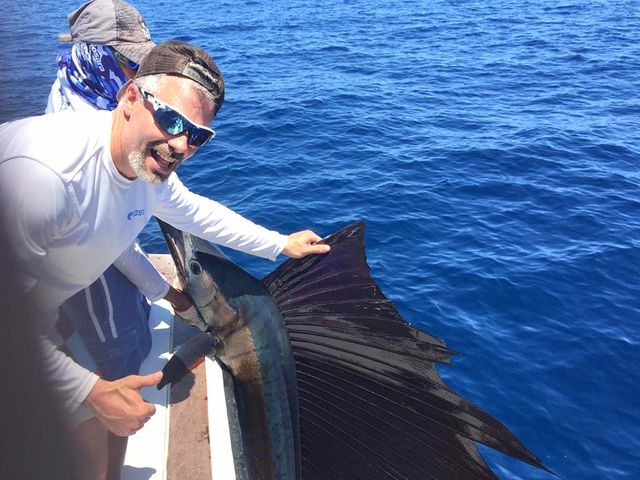 This first Sailfish was a monster and required a little help from Pops to reel it in. 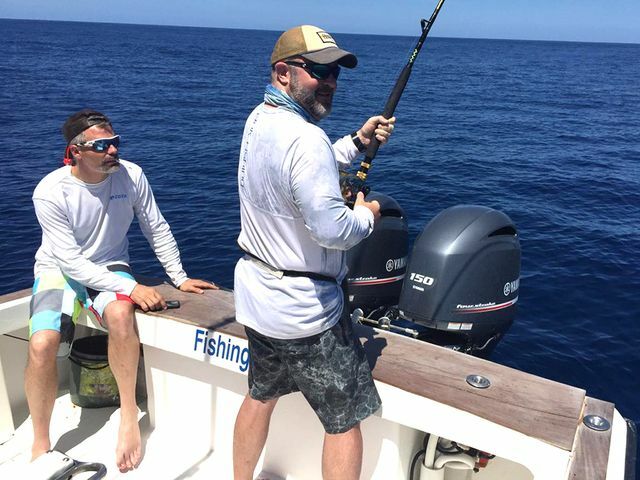 The next two fish were a handful but no match for Team Hagerty. 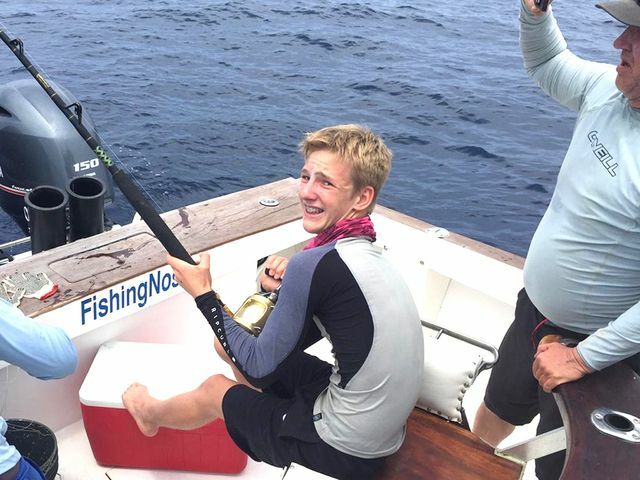 Great work by Captain William and the mighty flagship Wanderer! 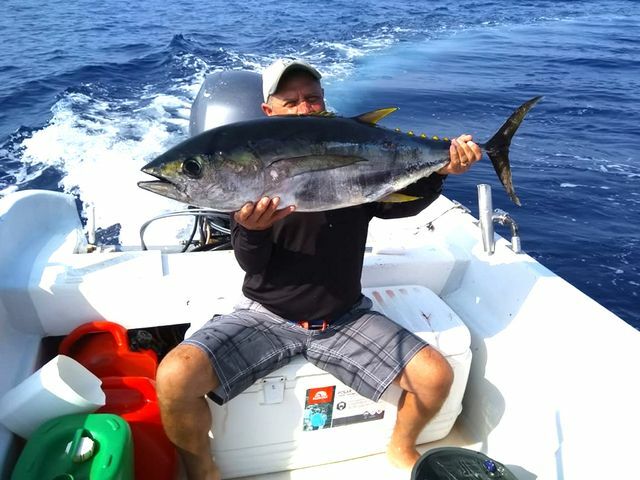 On April 14, our friend Leo Folse finally made his pilgrimage to the mega panga Harvester. 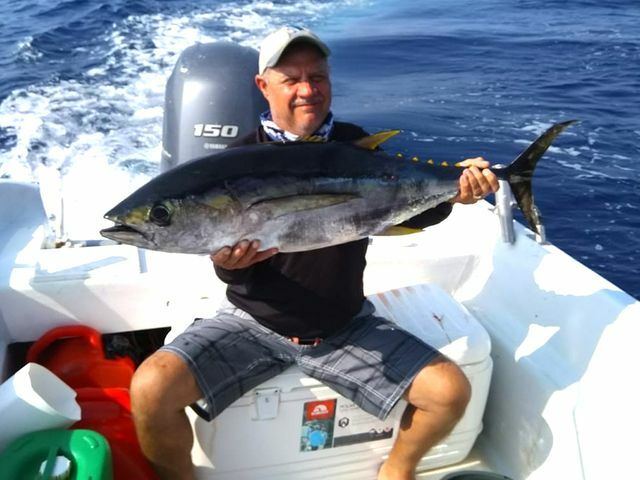 Mr. Folse is a serious panga enthusiast and was so impressed with the performance of the 32-foot Eduardono hull that he purchased two Eduardono hulls for himself. 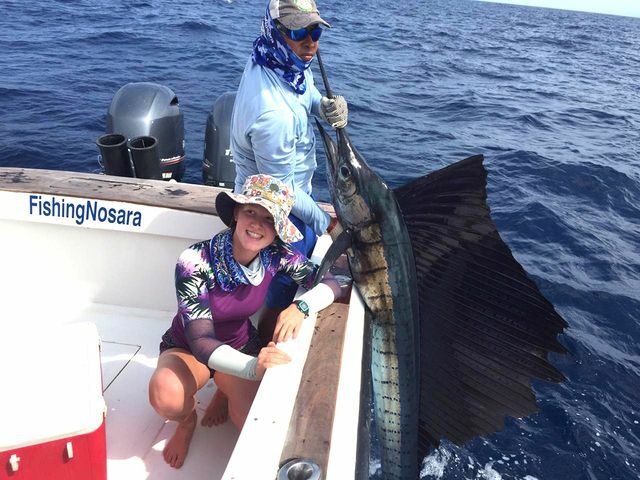 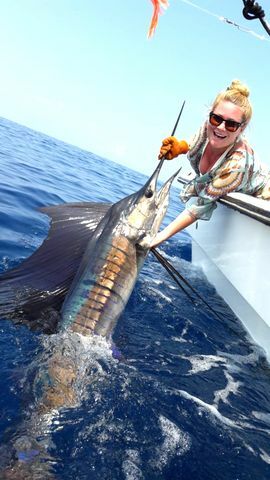 Captain Alex and the Harvester certainly met his expectations with a bunch of Sailfish releases. 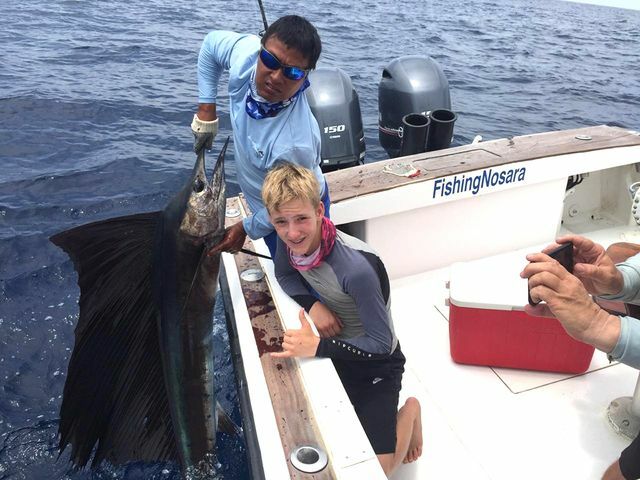 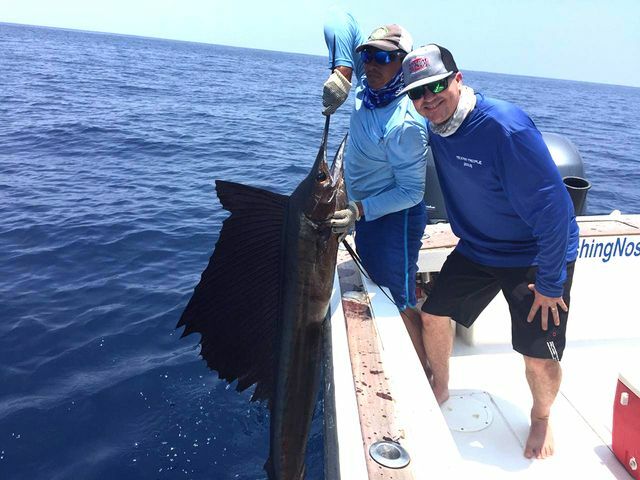 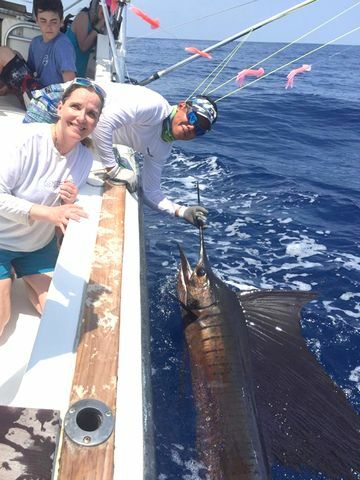 Devon Kelly’s family joined the most-consistent fish-catching machine in the bay on April 10 with Captain Carlos reporting several more sweet Sailfish. 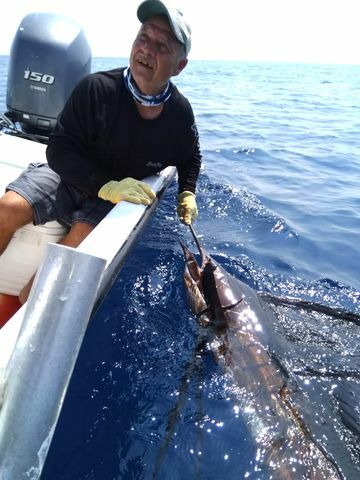 Excellent work by the big battleship! 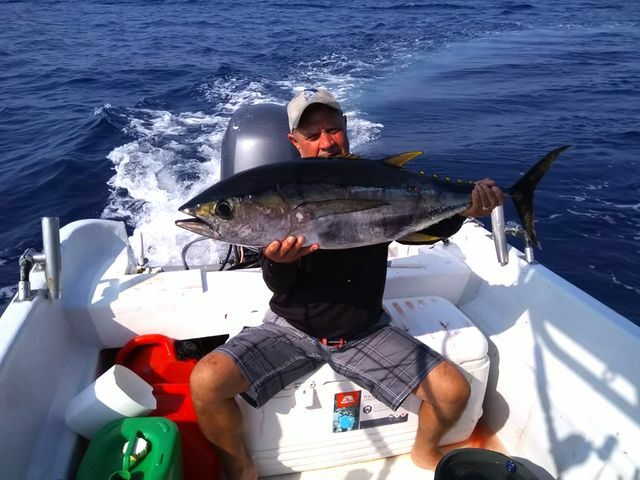 Legendary FishingNosara Hall of Famer Dennis Paul has returned to his favorite boat, enlisting Captain William and the Wanderer for a trip on April 9. 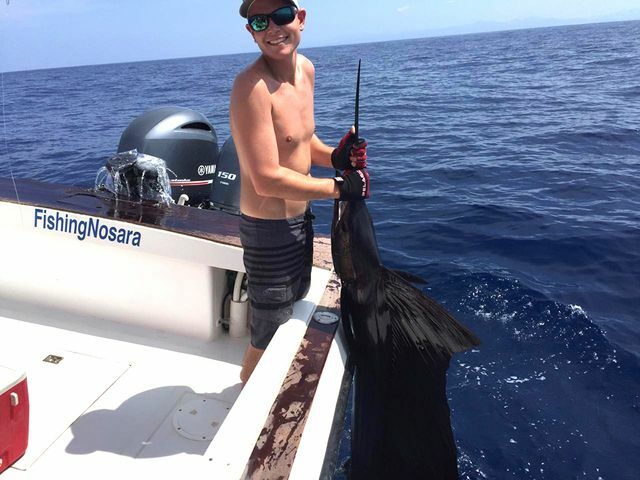 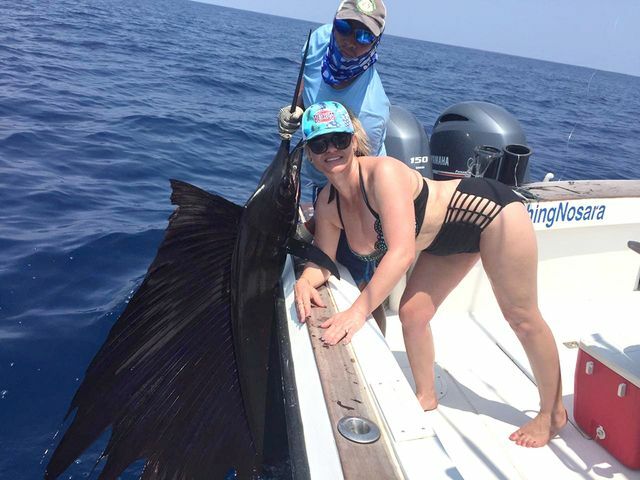 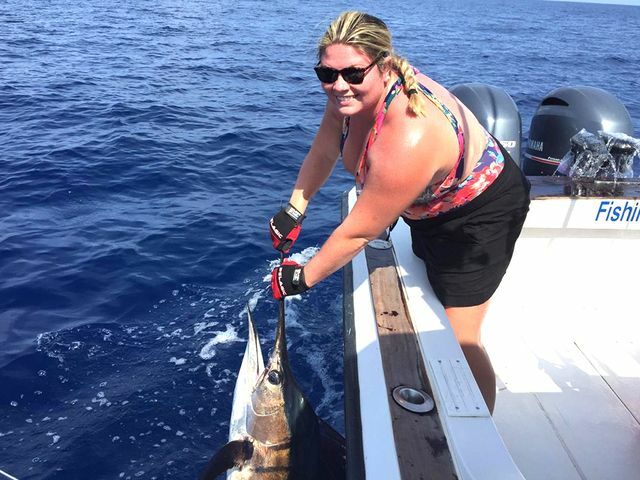 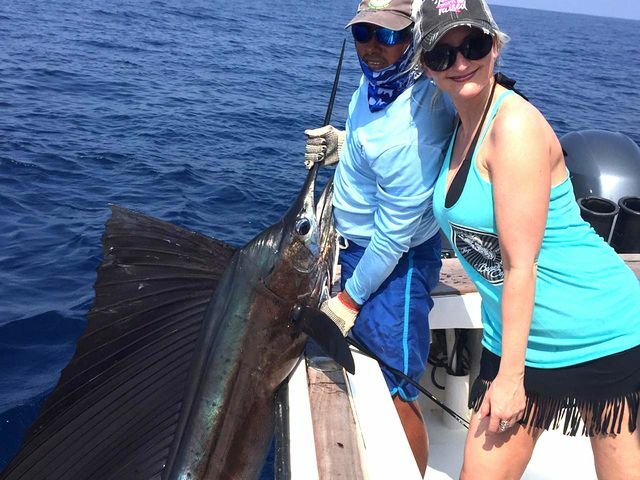 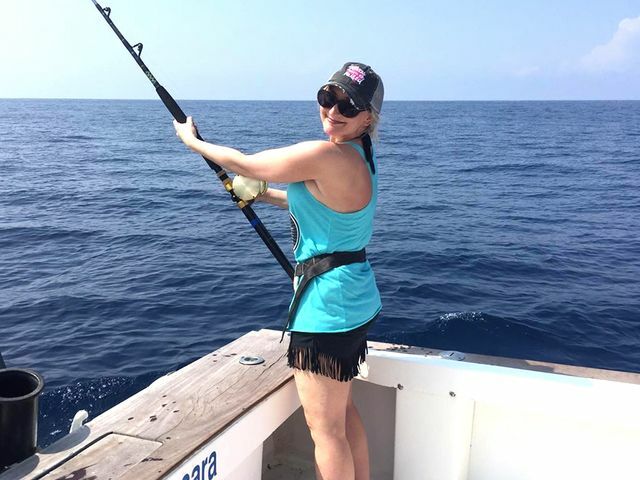 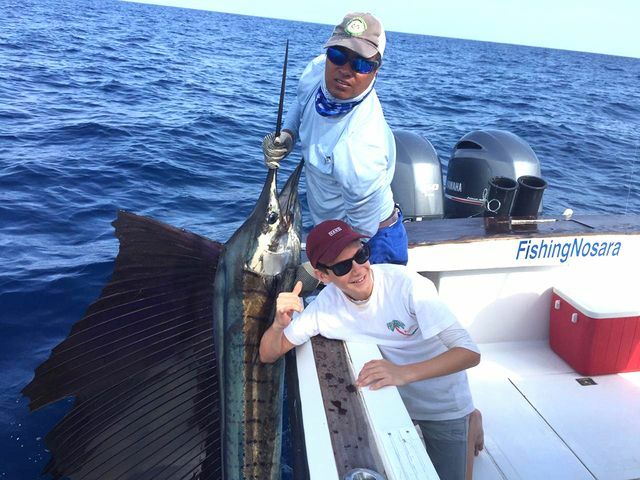 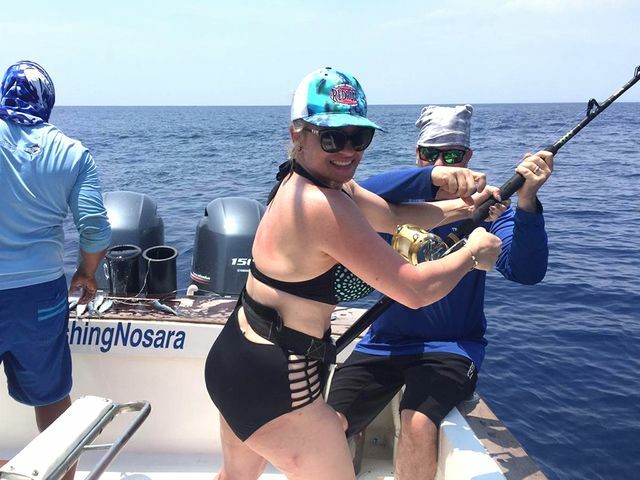 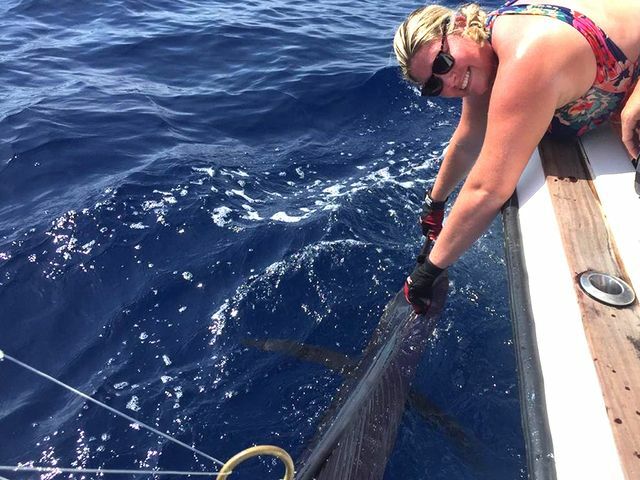 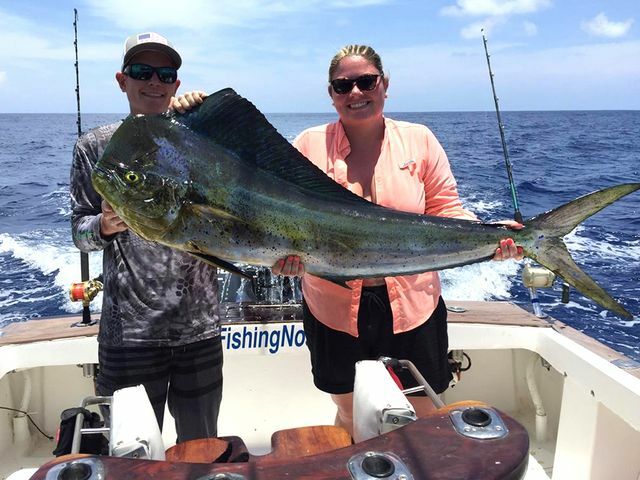 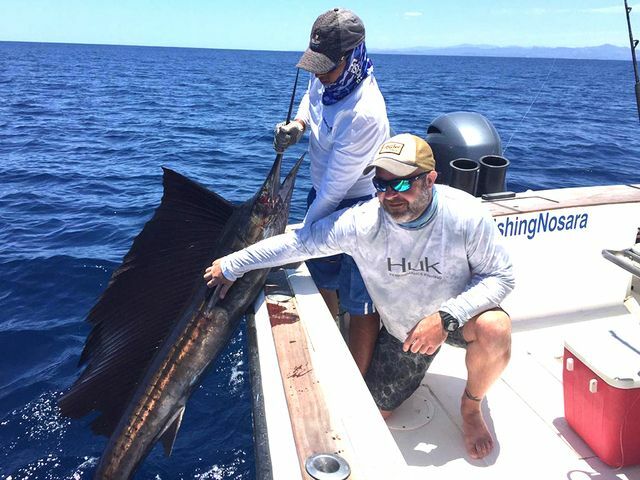 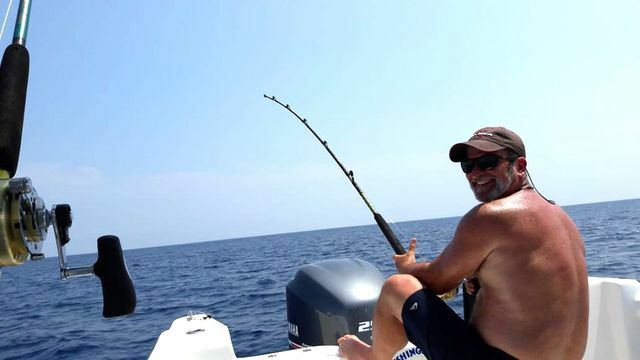 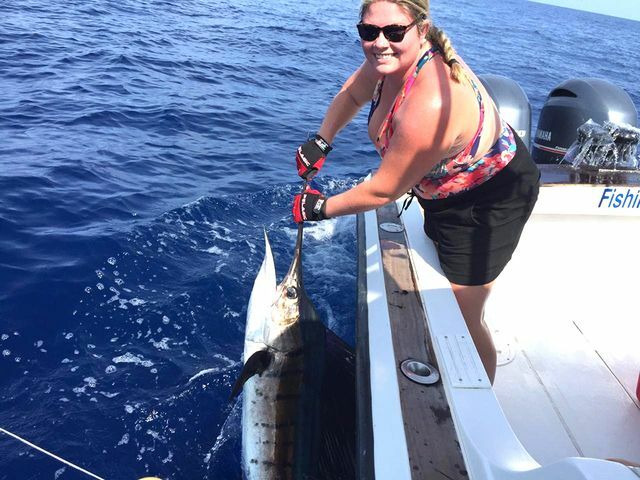 He brought some of his family along to get their first taste of blue water offshore action, and their beginner’s luck shone through with some early Sailfish releases. 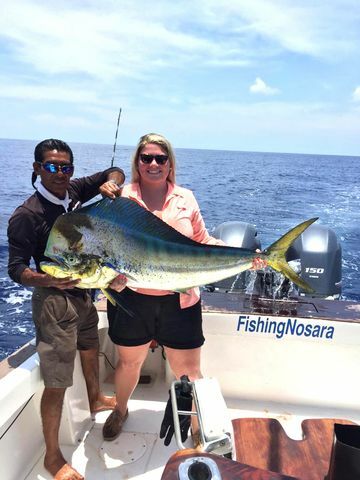 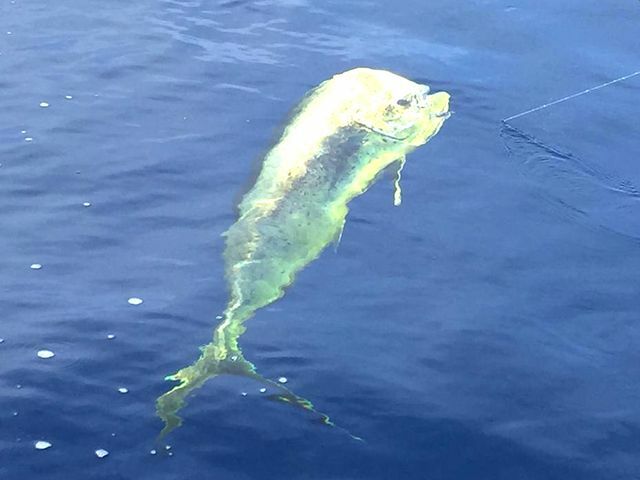 The highlight of the trip was this monster Dorado; easily over 50lbs.! 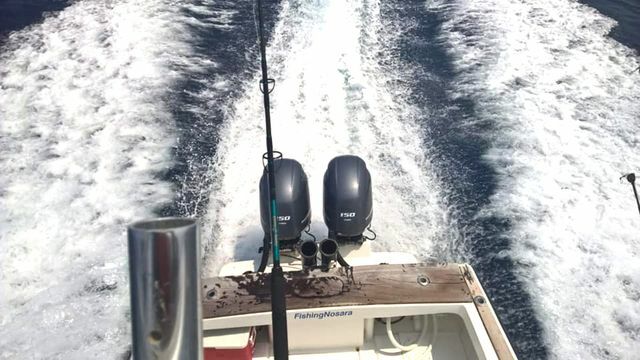 Great work by Captain William and the flagship!